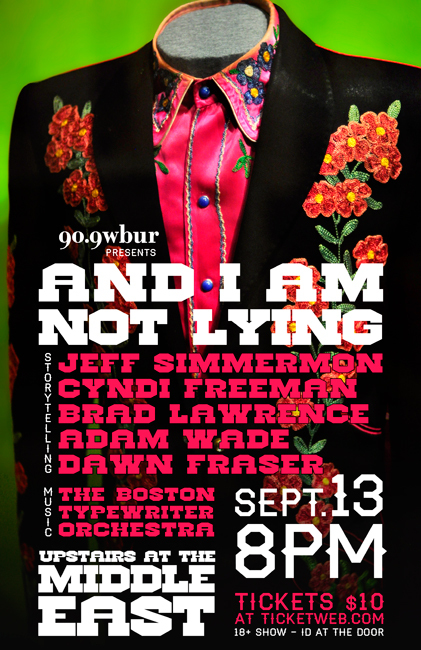 We’re featuring storytelling from Adam Wade, Jeff Simmermon, Brad Lawrence, Dawn Fraser and Cyndi Freeman (me) – along with special musical guests The Boston Typewriter Orchestra. Tickets are $10, available here. The show is for people 18+ w/Valid I.D. No ID, no admission, according to the club.